Russia Apartments for Rent in St.Petersburg. This two-bedroom apartment is located in the most popular street of St. Petersburg, Russia - Nevskiy Prospect and is ideal both for tourists and for businessmen. 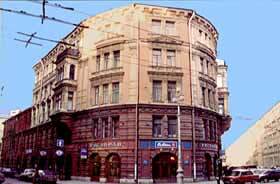 Restaurants, cafes, night clubs, shops and pubs are all within minutes of the apartment. The main city attractions such as Hermitage, St. Isaac's Cathedral or Peter and Paul Fortress are easily reached either by foot or a short drive. 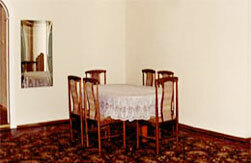 The apartment was newly renovated and furnished to European standards. The spacious dining room is tastefully furnished with a comfortable sofa, two arm-chairs, one wooden table and six chairs. It has color TV, VCR, telephone (phone calls within St Petersburg are free) with answering machine and Internet access for Laptop. 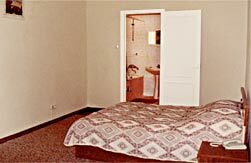 There are two large separate bedrooms with locking doors. 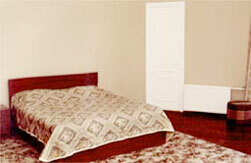 Each bedroom is nicely furnished with a queen size bed, dresser, bedside tables and has a private bathroom with WC. One of the bathrooms has a combination shower/tub, a toilet and a sink. 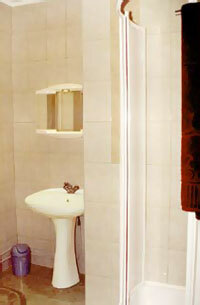 The second bathroom has a shower, a toilet and a sink. 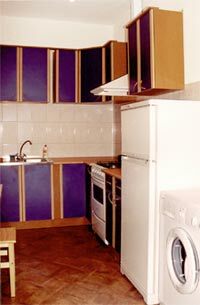 The kitchen is fully equipped with all appliances, gas stove top and oven; refrigerator and all the utensils you will need. 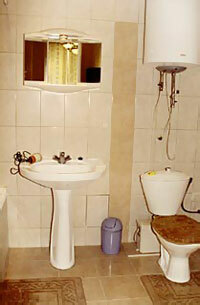 Amenities include washing machine, iron and ironing board. 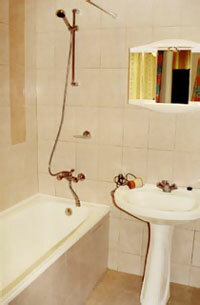 Linens (sheets, towels, etc) are provided and the rental price includes heat, water, electricity charges, etc. 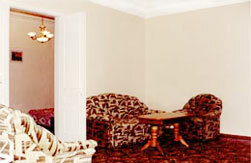 Location: The apartment is located in the centre of St. Petersburg, within walking distance from railway station. There are 2 nearby Metro stations: Ploshchad Vosstaniya and Mayakovskaya.